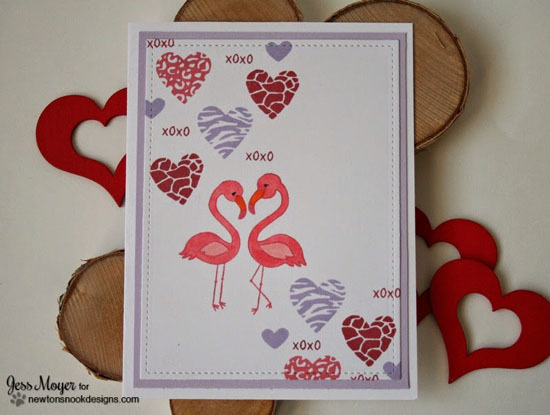 Jess Moyer created this fun Valentine card using the sweet flamingos from our Flirty Flamingos stamp set and the fun animal print heart from our new Valentine set, Wild About Zoo! She also snuck in that tiny little "xoxo" sentiment from the Sweetheart Tails stamp set - all these stamp sets are perfect for valentine and love cards! I love the clean and simple look this card has - with pops or pink, purple and red. Love it! Adorable and love the colors used.